Each one in a poly bag ,50pcs/carton or as request. Reasonable price, excellent quality,delivery soon,good service. End fittings : Metal brackets . 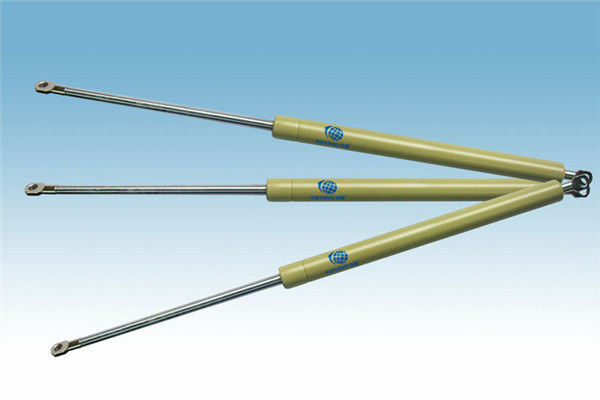 This type of damper widely used in cabinet ,case ,bed ,table and chairs .in order to open lid as convenient as desired . Fully damped springs contain separator pistons .This separate the oil from the gas inside the spring ,so that the damping can be very closely controlled in either compression or extension . We can provide fatigue test report ,Our products can open and close 100,000 times. When the gas spring is up and down ,it's soomth opration without noise. Due to stable high quality and competitive price , more and more clients chose to cooperate us . Strict 100% Final Quality Control rules Effectively improve product quality . Thanks for our harding work people , they make sure our goods more and more popular in the world . Nowadays, 40,000 pcs goods shipped out per week . If you want to know more about us, please do not hesitate to contact us . Thank you for your visiting .